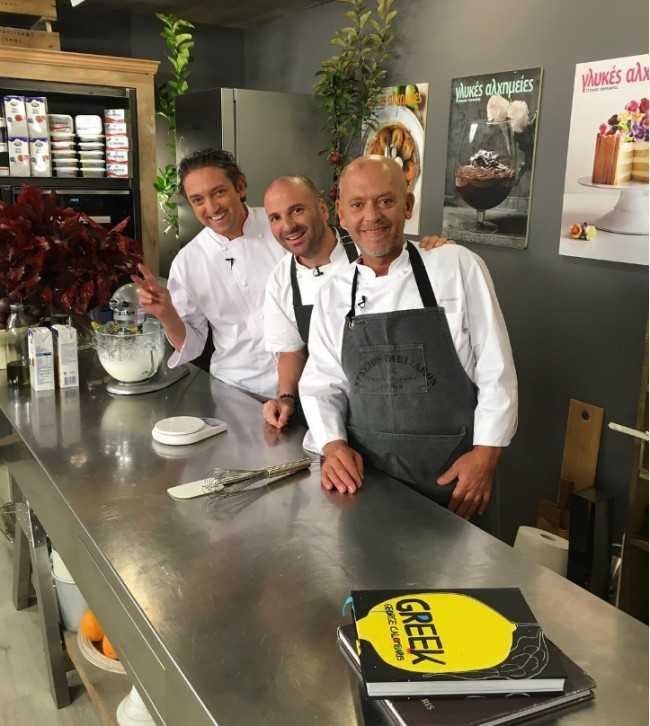 George Calombaris on set with Sweet Alchemist Stelios Parliaros. Photo: Instagram. Delicious Greek food made by some of the world’s best chefs with cocktails to match, by sought-after Athenian mixologists? You guessed it, Oh My Greek (OMG) Week is back. Set to return next month, if you liked what you saw (and tasted) last year, then you’re in for a real treat in 2016. A true celebration of Hellenic culture, cuisine and community, the six-day event, spearheaded by George Calombaris, will once again see the highest calibre of Greek chefs from across Australia and around the world come together in Melbourne in a cross-collaboration that will embrace the many styles and traditions of Greek cuisine. Kicking off on Monday 21 November, the event will commence with a progressive dinner across George Calombaris’ Flinders Street suite of restaurants, starting off at Gazi. Guests will be welcomed with cocktails prepared by renowned mixologist Chris Houseas, accompanied by mezethes created by Athenian young-gun chef Polychronis Damalas. The main course will follow at the The Press Club, created by famed chefs Alex Tsiotinis and Gikas Xenakis, and the final stop will see dessert taken to the next level with star pastry chef Stelios Parliaros (Sweet Alchemy) at Press Club – Projects, with perfectly-matched cocktails made by Athens’ finest. The following evening, some of Greece’s top chefs, including Georgianna Haliakaki and Nick Roussos from two-Michelin-star restaurant Funky Gourmet, will take over The Press Club kitchen to recreate Athens’ acclaimed contemporary dining and cocktail scene. If you’re interested in learning more about the roots of the Greek kitchen, you’ll have the chance on Wednesday 23 November in a feast inspired by ancient Greece, prepared by the foremost experts in Hellenic culinary traditions − Yiannis Baxevanis, David Tsirekas and Maria Loi. Guests will then have the chance to complete their culinary journey with a private tour of a collection of rare items at the Hellenic Museum on loan from Athens’ Benaki Museum. The OMG week gala dinner will take place midweek, where attendees will have the chance to mingle with all special guest chefs. Hosted at the Peninsula, Atlantic Group, Docklands, as expected, there’ll be a feast of epic proportions, along with an exclusive and intimate performance from Cypriot musician Michalis Hatzigiannis. On Friday, the day’s program will start off elegantly with a high tea at the Hotel Lindrum, where Parliaros and chef Christoforos Peskias will join forces to deliver diners an unforgettable experience. In the evening, the attention will turn to cocktails at Press Club-Projects, with a masterclass by bartenders Vasilis Kyritsis and Nikos Bakoulis from The Clumsies, one of the world’s best bars. Renowned for their bold experimentation in the ‘alcoholic arts’, taste their signature cocktails paired with a menu by Peskias. And for those with a sweet tooth, you haven’t been forgotten. On Saturday 26 November, Parliaros,also known as the ‘wizard of pastry’, will conduct a cooking demonstration and share his tips of the trade. 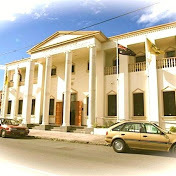 Guests will then enjoy a three-course lunch at Odysseus + Penelope in Kew, with a dessert designed by Parliaros himself. What better way to draw the week to a close than by paying homage to the classics. Calombaris will be joined by Baxevanis, Damalas, and Loi to prepare a four-course feast that pays tribute to the traditional Hellenic style of dining in Kew. And if that wasn’t enough, Federation Square will also get a taste of OMG Week, with Calombaris’ pop-up eatery, Greek, open for the entire duration of the event, from 21-26 November. Oh the choices! 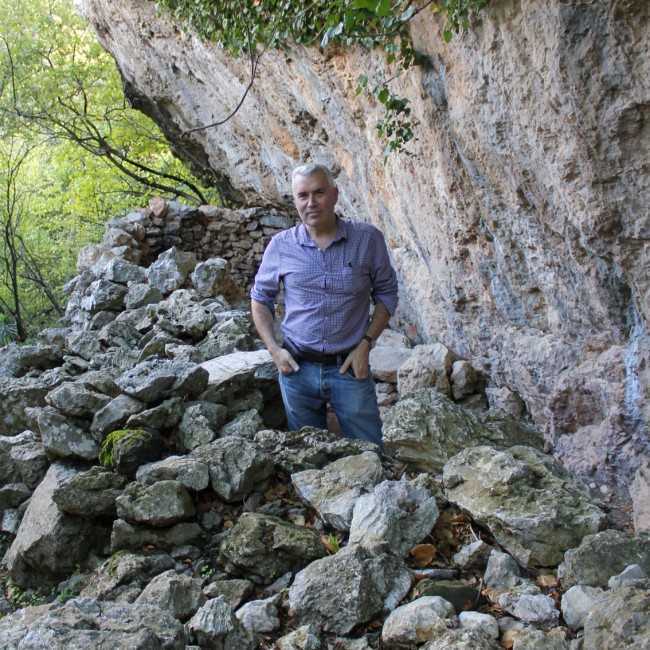 Mike, pictured at a hideout used by the Cretan Resistance during the Nazi occupation to shelter soldiers, near the village of Patsos. Journalist Mike Sweet has taken out the Best Editorial award for ABC documentary Escape from Crete at this year’s Multicultural and Indigenous Media Awards (MIMA). Two years in the making, the ambitious radio documentary honours the Cretan Anzacs, telling the story of Indigenous Australian soldier Captain Reg Saunders’ time on-the-run in 1941, and the relationships that grew between Allied soldiers and the Cretan families who protected them. Sweet spent three months in Crete researching and recording interviews for the program, with families who were involved in looking after Saunders for almost 12 months, from June 1941 until May 1942. To help reveal the remarkable and largely unknown story of his time in Greece, Sweet went one step further by retracing Saunders’ movements across the island and using field recordings at vital locations. 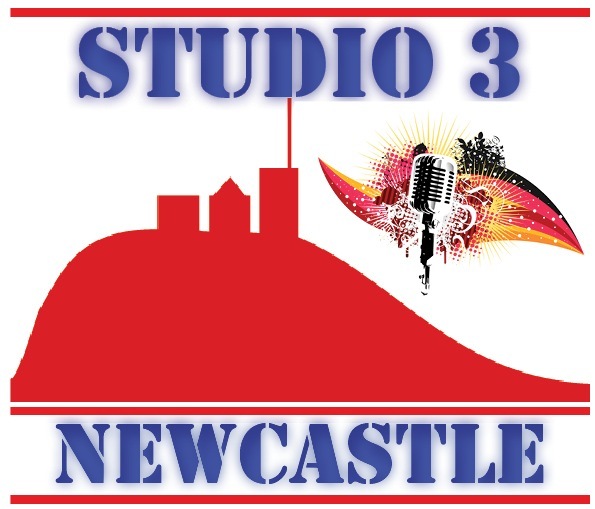 In an interview with Neos Kosmos, Sweet expressed his gratitude to the ABC and said he was thankful to be recognised for his work. “As a project that took me nearly two years to make, it’s very satisfying to receive an award for a project that was so close to my heart,” he said. The MIMA presentation dinner was held at Brighton Le Sands in Sydney on Friday 14 October and was well-attended, with guests including Labor MP for Barton Linda Burney and Race Discrimination Commissioner Tim Soutphommasane. Now in its fifth year, the initiative was established in 2014 by MIMA chairman Shaoquett Moselmane, the first Muslim member of the NSW Parliament. Olympiakos went joint top of its Europa League group after thrashing visiting Astana 4-1 on Thursday, while Panathinaikos wasted a two-goal lead at Standard Liege to draw 2-2 and PAOK lost 2-0 at Qarabag. Two goals by Seba and one each from Diego Figueiras and Tarik Elyounoussi gave the Reds an easy win over the Kazakh team that had pulled one back via Junior Kabananga. Just after Astana made it 3-1 it was reduced to 10 men, as Roger Canas received a second booking. This was a confidence-boosting show by the Piraeus club ahead of the league derby with PAOK on Sunday. 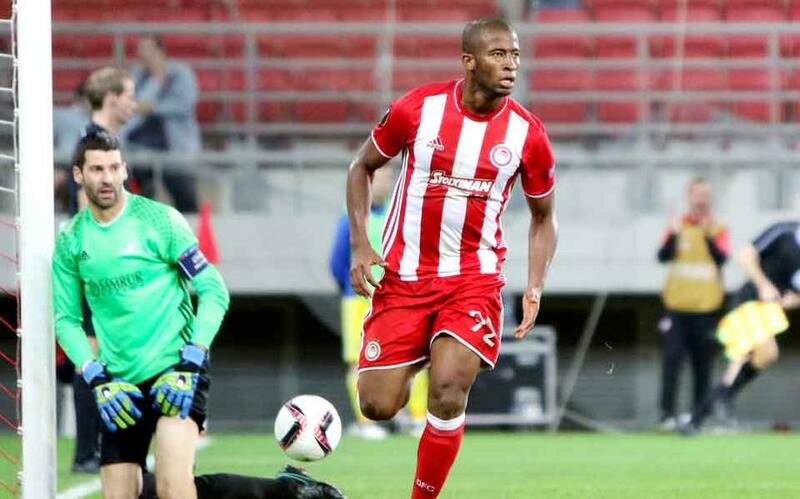 Olympiakos has joined APOEL at the top of the pool with six points from three games, as the Cypriot champion went down 3-1 at Young Boys. Panathinaikos’s game was an opportunity missed but a point earned. The Greens led 2-0 thanks to a Victor Ibarbo brace on the 12th and 36th minute, but for a second game in a row in the competition they had a penalty decision go against them. Much as the Greens protested, Polish referee Daniel Stefanski insisted on the penalty he awarded to Standard at the end of the first half and even sent Panathinaikos manager Andrea Stramaccioni to the stands for protesting. Edmilson Junior converted the kick and Ishak Belfodil went on to equalize eight minutes from the end. The Greens earned their first point in three games and remain at the bottom of their group. PAOK had a poor performance in Azerbaijan, unlike all other away games it has played this season in Europe. Qarabag saw the chance to upset its visitor and after a goalless first half it struck through Dani Quintana on the 56th and Rahid Amirguliyev three minutes from time. The Azeris are now level on points with PAOK as they both have four. They will battle it out again at Toumba in two weeks’ time. 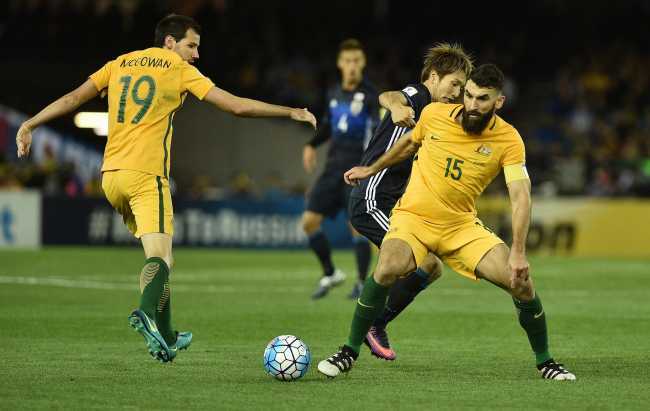 Despite keeping its undefeated record intact, the Socceroos have missed out on the chance to stay top of its World Cup Qualifying group following a 1-1 home draw against Japan last Tuesday evening. Saudi Arabia 3-0 home win over UAE in Jeddah on the same night, means that the Socceroos drop to second behind the Saudis on the World Cup Qualification Group table. For those anticipating an even tussle between two of the strongest footballing teams in the Asian Football Confederation at Docklands stadium last Tuesday, the performance was quite a surprise even if the end results was more in keeping with the history of close matches between these two rivals. There has probably never been a Socceroo-Japan matches in which the Australians have so dominated possession against one of the strongest sides in Asian football. The stats show the Socceroos had more than twice the amount of possession and played twice the number of passes than Japan. Likewise it’s difficult to recall a Japanese team that has been so defensive minded. Coach Vahid Halilhodzic set his team out in a 4-5-1 formation with AC Milan’s Keisuke Honda leading the line, indicative perhaps of the respect Hililhodzic had for the Socceroos and a clear admission that both he and the team could ill afford a second loss in the first four games of the qualifying campaign. Socceroos boss Postecoglou, still looking for his first win against the Japanese, sprung a selection surprise beginning the match with a 4-4-2 formation, which whilst conceding some speed and width in attack, enabled him to introduce Massimo Luongo into a four man midfield. 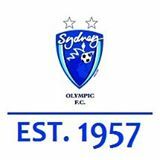 Up front partnering the in-form Tomi Juric, was striker Apostolos Giannou who was a late inclusion in this squad due to an injury to Dejenak. Postecoglou also started right back Ryan Mcgowan in place of Mark Milligan. Australia suffered an early set back in the fifth minute when an early turnover of possession in a dangerous area allowed Honda to feed the ball to left sided midfielder Genki Haraguchi who calmly slotted a left foot shot past Matt Ryan. As in the last match against Saudi Arabia, the Socceroos had to find a way back into the match after conceding early. From Australia’s point of view, despite its large share of possession, the first half was frustrating. Midfielders Rogic, Luongo and Mooys were closed down quickly, rarely linking with the forwards. The Socceroos rarely penetrated the Japanese back four and the team failed to play forward quickly enough, creating no clear cut chances. Within seven minutes of the restart however, Australia was back on level terms, when marauding left back Brad Smith’s incisive cross found Juric who went down in the box under a Haraguchi challenge. Skipper Mile Jedinak calmly fired home the resultant penalty to lift the home team. Postecoglou sensed a pivotal point in the match and introduced Robbie Kruse for Giannou, changing to a 4-3-3 formation hoping to exploit a tiring Japan with more width and movement up front. Despite continuing to dominate possession and the midfielders Rogic, luongo and Mooys finding more space, clear cut openings continued to elude the Socceroos. In fact it was the counter-attacking Japanese through a goal-bound Yu Kobayashi header, who came closest to scoring, foiled only by a terrific Matt Ryan diving save. Tim Cahill and Matthew Leckie joined the fray off the subs bench as the Socceroos pressed hard for an precious winner, but it was defender Matthew Spiranovic who came closest to scoring when he headed narrowly over the bar from a set piece with just minutes remaining. In the end the Socceroos had to settle for a point frustrated by its lack of clear cut chances despite bossing possession. After the match, Socceroos coach Ange Postecoglou blamed the early conceded goal and the static display rather than the team formation for what he described as a wasted first half. “It was not the formation that let the team down,” he said. 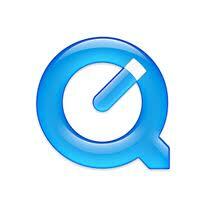 “It was because the team was very static and we were looking for solutions in the wrong way. Japanese coach Vahid Halilhodzic commented on his team’s approach and tactics. “I knew many of my players were fatigued. Our tactics were based on the physical condition of our players and they did a good job, especially defensively. “We let the opponent have the ball because we knew we would have chances to score. “I knew everything about Australia and they are the Asian champions, sometimes you can’t take too many risks. I won’t comment on their goal, but we could’ve scored more, their keeper (Mat Ryan) made two great saves. “We were not in danger, they didn’t create chances, we were well organised. When we got the ball we hesitated. We have to be more secure in our passing. Australia’s next group qualifying match is on November 15th away to Thailand. Greece extended its perfect start to the World Cup qualifiers with a 2-0 win in Tallinn over host Estonia on Monday night. Both of its goals came from defenders. The players of German coach Michael Skibbe were slightly improved on the home game against Cyprus, that ended with the same score in Greece’s favor. This time the Greeks had to face misfortune as well, as two of its defenders were taken off injured in the first 20 minutes. Experienced Vassilis Torosidis opened the score through a header just after the first minute of the game, to give the Greeks an early lead. A few minutes later he had to be substituted, as was also the case with Sokratis Pastathathopoulos. Costas Fortounis snd Giorgos Tzavellas missed the game altogether due to injuries. Even so the Greeks absorbed the pressure of the Estonians who enjoyed possession but lacked quality in finishing. Goalkeeper Orestis Karnezis also contributed with his saves in the second half. Just after the hour mark Greece earned a free-kick some four meters outside the box, Costas Mitroglou rushed to take it, but Skibbe shouted an order from the bench, which Costas Manolas conveyed to Mitroglou, that Costas Stafylidis should take the kick instead. The left-footed defender took the kick, and the ball swerved and bounced magnificently into the net for Greece’s second goal, while Stafylidis ran toward the Greece bench pointing at Skibbe. The German has apparently earned the respect and affection of his players,unlike his predecessors. Stafylidis’s goal was in fact the first second-half goal in this campaign for Greece, after seven first-half goals. Petros Mantalos tried to make it 3-0 some 11 minutes from time, but his shot hit the upright of Estonia. Greece now has nine points from three games, level on points with group leader Belgium, and on November 13 it will host Bosnia, victors of Cyprus with a 2-0 score on Monday. Greece made it two out of two in the World Cup qualifiers beating visiting Cyprus 2-0 in Piraeus despite a rather lackluster performance on Friday. Two first-half goals by Costas Mitroglou and Petros Mantalos sealed it for the hosts. The successful start to the tenure of German manager Michael Skibbe on the Greek bench continues. He opted for left-back Costas Stafylidis as a replacement for injured Andreas Samaris next to Yiannis Maniatis as holding midfielders, and they had plenty of work against a quite creative Cypriot side. Yet Greece needed just 12 minutes to open the score, as Costas Fortounis took hold of a loose ball in the Cyprus box and fed incoming Mitroglou who slid the ball past Cypriot keeper Costas Panaghi. Then three minutes before half-time Mantalos took advantage of an error by Panaghi and lobbed the ball into the net for Greece’s second goal. Cyprus twice came close to pulling a goal back early in the second half via Nestor Mytides and Giorgos Efraim, and was unlucky not to score as the Greek defense appeared disorganized at times. It is worth noting that when the 1,500 Cypriot fans chanted “Greece-Cyprus, Enosis”, the rest of the stadium offered a warm round of applause. Enosis, a historically charged word for the Cypriots, means Union in Greek. Greece is now joint top of the table along with Belgium and on Monday it travels to Estonia. Cyprus, still on zero points, visits Bosnia next. Australia hung on for a pulsating 2-2 draw with Saudi Arabia in Jeddah to stay top of their 2018 FIFA World Cup qualifying group. The Socceroos came back from an early goal down to take a 2-1 lead with 20 minutes to go but controversial striker Nasser Al Shamrani netted a late equaliser for the home side. In his first international appearance for two years, Al Shamrani – who was banned for eight games for spitting at Western Sydney Wanderers’ Matt Spiranovic in the 2014 AFC Champions League final – scored in the 80th minute to salvage a point for the Green Falcons in front of a raucuous crowd at King Abdullah Sports City. It leaves Australia undefeated on top of Group B with seven points – but only ahead of Saudi Arabia on goal difference, with Japan and the United Arab Emirates one point behind and tied for third. Tuesday’s qualifier in Melbourne against Japan – who beat Iraq 2-1 thanks to a 95th-minute winner early in the day – now has even greater importance. Ange Postecoglou’s side were on course for a remarkable come-from-behind win after they trailed just five minutes after kickoff but they took a 2-1 lead through goals from Trent Sainsbury and Tomi Juric. They made a nervy start in front of 51,616 screaming fans and looked rattled when midfielder Taiseer Al Jassam put away a cutback from Yaha Al Shehri to open the scoring. But with the home side seemingly content to sit back and defend their lead, the Socceroos eventually settled and took control of the game, owning 55 per cent of possession despite energy-sapping heat and humidity. Just before the half-time break, Sainsbury rose highest to nod home an Aaron Mooy corner – Australia’s first for the match – to bring a hushed silence across the stadium. Saudi Arabia coach Bert van Marwijk produced his trump card early in the second half, sending Al Shamrani on to mass applause in the 54th minute. He made an immediate impact, and along with Nawaf Alabid forced his nemesis Spiranovic into a heroic double block to keep scores at one goal apiece. Tensions nearly boiled over when Saudi Arabia players were urging the ball to be put out of play to allow treatment for defender Omar Othman, who was lying on the ground behind play. A fuming Postecoglou had to be held back by the fourth official as he reacted to what appeared to be a verbal barrage from the opposing bench. 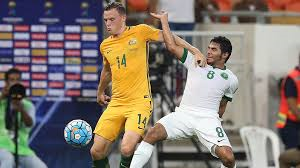 Othman was taken off on a stretcher with Saudi Arabia’s final substitution and not long after, a cross from Robbie Kruse unleashed Juric, who put the visitors 2-1 in front. However, the lead lasted just eight minutes, as Al Shamrani managed to get a foot on a shot from Hassan Muath Fallatah in the 80th minute to guide it past Mat Ryan and add further intrigue to this stage of FIFA World Cup qualification. The Panagrotikos Farmers Union of Cyprus visited Melbourne for Fine Food Australia 2016 to launch the Halloumi Cheese campaign along with representatives from Greece’s Agricultural Cooperatives Union of Aeghion S.A promoting European Currants. Οn Tuesday 13 September 2016, the Agricultural Cooperatives Union of Aeghion S.A hosted the local importers of European Currants, media and fruit buyers for canapés and drinks at Eureka 89, the top floor of the iconic Eureka Tower, one of Melbourne’s most spectacular event spaces with panoramic floor-to-ceiling views of the city skyline. Eureka 89 Executive Chef Renee Martillano weaved European Currants into an exquisite menu of canapes, grazing dishes and desserts. The specially developed menu included seared wallaby with currant chutney, goats curd and walnut brittle, a grazing dish of seared duck breasts with spelt, currant risotto and kale crisps as well as a dessert of vanilla pannacotta with currants compote and pistachio biscotti. 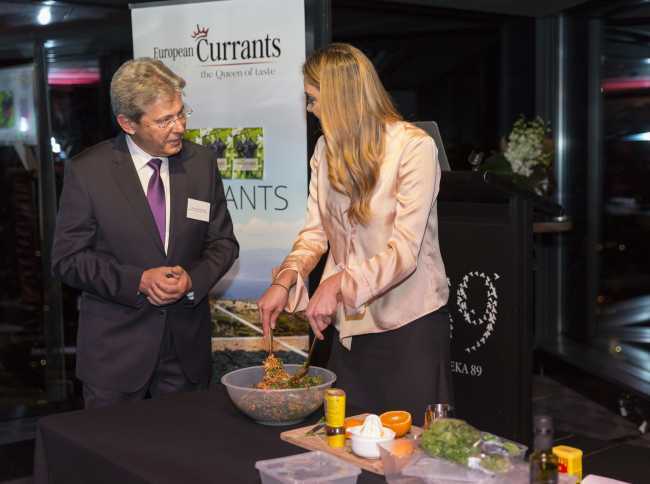 Blogger, Health Coach and Wellness Advisor Brooke Meredith, of A Conscious Collection fame, spoke to guests about the nutritional value of European Currants and demonstrated how to make a nourishing salad, which included quinoa, coconut and currants. Mr Miltiadis Stavropoulos of the Agricultural Cooperatives Union of Aeghion S.A delivered a detailed presentation on Greece-grown European Currants, which are made from black seedless grapes. No artificial colours or preservatives are used in the drying process, ensuring the nutrients in the naturally sweet fruit are preserved. European Currants are a great source of fibre, antioxidants and vitamin C.
The next day, the Panagrotikos Farmers Union of Cyprus invited their guests, importers, media and cheese buyers to join them for a sit-down dinner at Bahari Greek restaurant co-owned by former Masterchef Australia contestant Philip Vakos as part of the Halloumi Cheese campaign. Chef Vakos developed an enticing halloumi-filled menu for the dinner; with dishes including halloumi served with pomegranate molasses, halloumi cigars and halloumi pistachio baklava. Guests were entertained by Philip’s cooking demonstration, where he made the traditional Cypriot dish of pork, fennel and halloumi sheftalies. Meanwhile, Mr Anastasis Yiapanis, the General Secretary of Panagrotikos Association of Cyprus, presented a speech informing guests about the Halloumi Cheese campaign as Cyprus’ national product is currently in the process of being registered as a product with Protected Designation of Origin (PDO) under the European Union’s quality schemes. Other notable guests included Mr Theodoros Ahhas, a representative of the Cyprus Cattle Farmers Organization, Mr Georgios Kyprianou, a representative of Pittas Diary Industries, and Mr Alex Georgiadis, Operations Manager at Kebia Importex.